KUNDUZ -- A group of Taliban members who have recently joined the peace process in Kunduz Province say that Russia and Iran are providing support to the militant group to serve their interests. 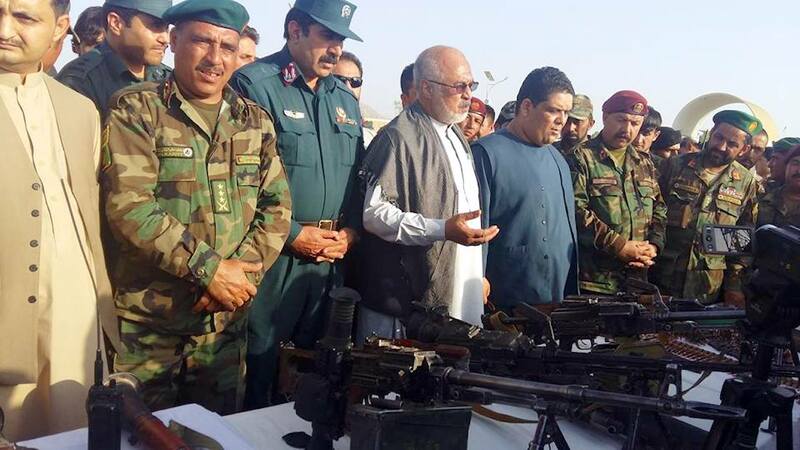 On September 23, a group of Taliban fighters, led by Mullah Dur Mohammad, handed over their weapons to local authorities in a ceremony at Kunduz provincial police headquarters. "For 14 years, I fought against [Afghans] and the government. The Taliban are divided into many groups and factions and are backed by Pakistan, Iran and Russia," Dur Mohammad told Salaam Times. Support provided by such countries as Iran and Russia has hindered his fellow fighters from joining the peace process, he said. "I apologise to my people, and I am profoundly sorry about the possibility that... anyone [civilian] was martyred or injured," he said. 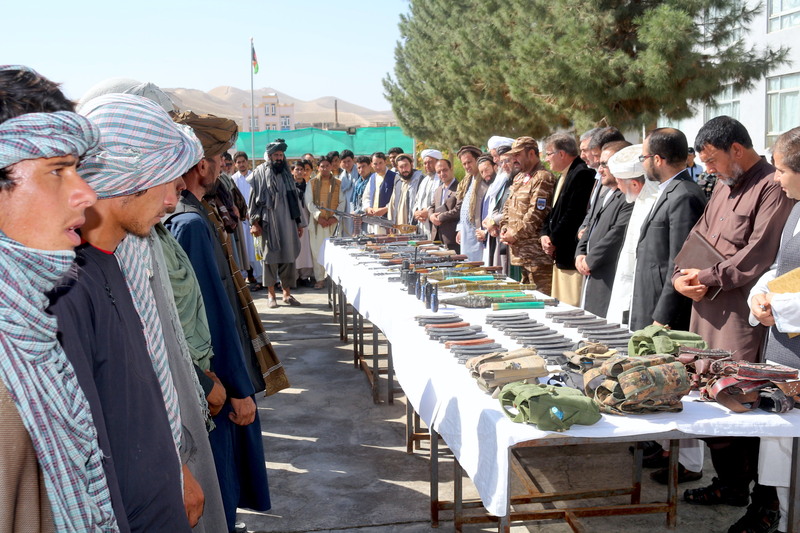 "We welcome and support each and every one of our [Taliban] brothers who quit fighting and joins the path of peace," Kunduz provincial governor Abdul Jabbar Naeemi said at the ceremony. "I call on those who, on the orders of foreigners, point their weapons at the chests of their brothers. I say to them: enough with the war! Have mercy on your people and come to peace," Naeemi said. Iran and Russia are strengthening the Taliban to serve their own interests and objectives, Nooruddin Safi, a political activist in Kunduz, told Salaam Times. "In order to challenge the United States and its partners in Afghanistan, Russia and Iran are investing in the Taliban in order to keep the conflict going across the country," he said. Afghan security officials have said that they would not tolerate any country that interferes in Afghanistan's internal affairs. "The intelligence agencies of [our] neighbouring countries and the ones of the region have been involved in the Afghan conflict for years and are working to create insecurity in Afghanistan," Anamuddin Rahmani, a spokesman for the Kunduz provincial police chief, told Salaam Times. "As you can see in recent fighting in Kunduz, we found the corpses of foreign fighters along with foreign-made weapons, which reflects the support they [the Taliban] receive from other countries," he said. "We warn all [insurgent] groups that the [Afghan] security forces will never let foreigners cause destruction in our country, kill our [civilians] and ruin our facilities under various pretexts," Rahmani added. Many members of the Taliban did not understand the nature of their own group prior to the three-day ceasefire between the Afghan government and Taliban announced in June, according to Dur Mohammad, the leader of the fighters who surrendered. "The ceasefire helped many Taliban militants to understand their path and to realise the direction they were going," he said, adding that many realised that "being home and living with family are the greatest joy in life." "During those three days [of the ceasefire], many Taliban members realised the truth, abandoned their group and went on to live at home [with their families]," he explained. "Many Taliban militants are ready to join the peace process, but pressure from foreign countries prevents them from doing so," Dur Mohammad said. "Ever since Taliban militants embraced members of the Afghan security forces [during the ceasefire], the group has taken a heavy blow to its ranks," said Mawlawi Abdul Basir, the chairman of Kunduz Province's Peace Council. "As one can see, the Taliban movement in Kunduz has weakened because its fighters have realised that the Afghan security forces are Muslims too," he said. "The overall level of interest in the peace process among Taliban members is very high," he said. "Tears of joy and jubilation appeared in my eyes on Eid ul Fitr, when I saw Taliban and security forces together in the same place," Ataullah Hussaini, 28, a student at Kunduz University, told Salaam Times. "Among the Taliban were those who had not been in [Kunduz] city for 15 years, and seeing the city and the public restored hope for peace in [the militants'] hearts," he said. 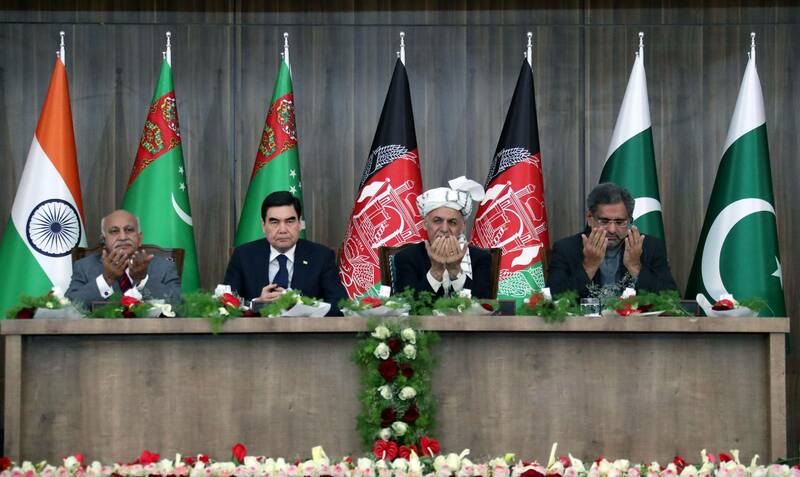 The Afghan High Peace Council in Kabul and its representative bodies in provincial governments, including Kunduz, will support all Taliban members who leave the group and join the peace process, according to Mawlawi Basir. Those Taliban members who leave Taliban ranks and join the government will obtain jobs and the chance to contribute to and participate in the country's development, the council added. "The doors to the peace council remain open for [militants]. We welcome those members of the Taliban who join the peace process," Mawlawi Basir said. "Those Taliban militants who have joined the peace process in recent years have enjoyed valuable government benefits," he said. Seddiq Karimi, one of the militants who surrendered, said that he intends to give up all terrorist activities and instead help rebuild the country. "Moving forward, we want to participate in the prosperity and reconstruction of our country," Karimi told Salaam Times. "War brings destruction and devastation. We should no longer be deceived by foreigners and should not work against our people and our government," he said.